I can’t believe how quickly Christmas has come around… I swear I say this every year, but it really has jumped up on me this year! 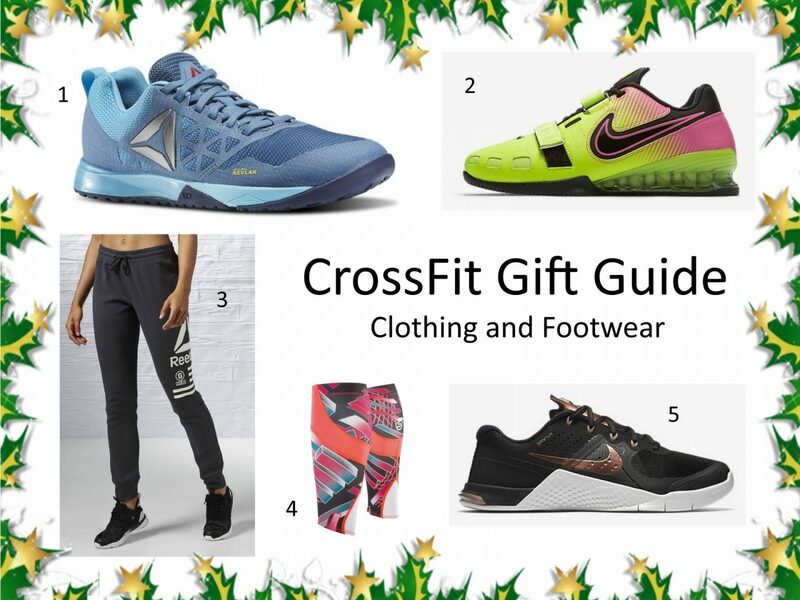 There may not be long to go until the big day, but there’s still time to get some online shopping in with guaranteed Christmas delivery, and if you’re struggling to think of what to get the CrossFitter in your life, this gift guide should help you! 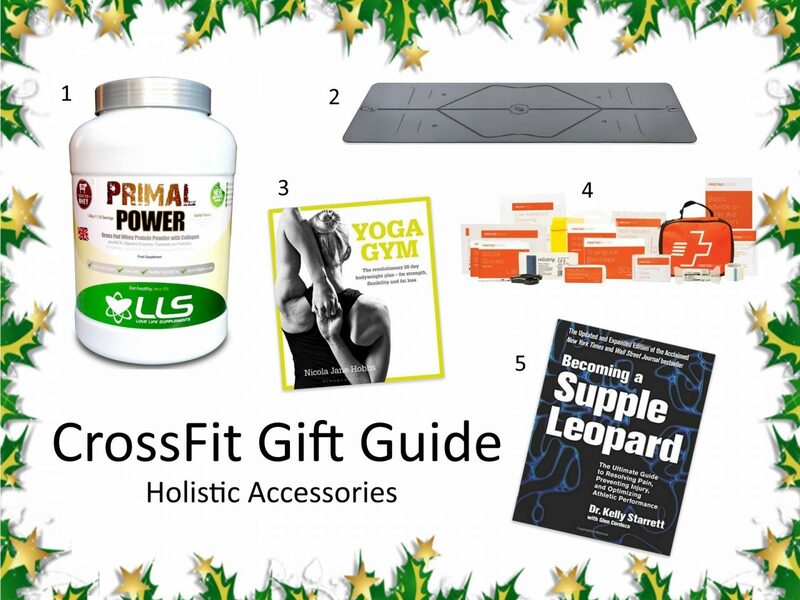 All the items in this guide are either products I’ve tried and tested myself, or are from brands I buy from regularly, so this is a bonafide recommendation from me, an avid CrossFitter/weightlifter, to you – the giver of gifts. I’ve included some higher price items right the way down to stocking fillers so there should be something for all budgets. Pull Up Mate – £108.29, including bag. A great piece of kit for home workouts and generally working on your pulling strength. I use mine for pull-up variations, ring dips (with my Reebok gymnastics rings) and even lat pull downs! Reebok Ab Mat – £24.99. Good support for your lower back during sit ups but can also double up to rest your knees on for ab roll-outs and push ups. Incite Fitness Paralettes – £60. I got these for Christmas last year and love them for practising L sits, jump throughs, crow, handstands, etc. Reebok Gymnastics Rings – £59.99. Brilliant for working on dips and muscle up progressions. You can even invert on these with the Pull Up Mate! Reebok Nano 6.0 – £89.95. Reebok’s best shoe yet – super comfortable and more supportive than previous versions. And you can never have too many Nanos. They come in some gorgeous colours too! Nike Romaleos – £180. A pricey shoe, but worth it’s weight in gold (and it’s a bloody heavy shoe!). I wouldn’t wear anything else for pure weightlifting now. Reebok Jogging Bottoms – £39.95. These are perfect for chucking on in the evenings, or on top of leggings for between workouts. Super comfortable and stylish. Skins Calf Guards – £35. Great to keep in your kit bag in case of rope climbs, these calf guards will protect your loved one’s shins from the burn of the rope as they climb and descend. Nike Metcon 2.0 – £120. Another favourite shoe of mine. These are good for the Nike lovers out there and there are so many colours to choose from! The new rose gold ones are gorgeous! Unbroken Designs Weightlifting Belt – £29.99. I try not to wear a lifting belt too often, but find it really helps me with my clean and jerk when the bar gets heavy. This is supportive enough without being super wide. Vropes Fire Skipping Rope and Speed Cable Pack – £40 + £18. My favourite rope so far… and I’ve tried a lot of ropes trying to find the one that will magically give me double unders! You can get the extra pack with three different weight ropes for all preferences (each longer length for you to cut to the right length) and you can get the handles personalised too! Bulldog Gear Mobility Gear – from £2.99. Perfect for home workouts, stretching and glute activation. A mix of full size and shorty bands at different weights, plus a lacrosse ball and peanut roller would make for a really good mobility kit! Reebok Kit Bag – £89.95. Big enough to store all of your kit in and a really cool, quite military style. Us CrossFitters have a lot of kit to pack away! Love Life Supplements Primal Power Whey Protein – £34.95. Really good quality whey protein which contains a balance of 20g protein, 10g fat and 5g carbohydrate per serving. It even contains health boosting flaxseeds, digestive enzymes and prebiotics. Liforme Yoga Mat – £100. The best yoga mat ever. Fact. Lines on the mat help with alignment in poses, the anti-slip fabric helps you stay in place no matter how sweaty your hands get, and it’s big enough for those of us who are a little taller. I got it for Christmas last year and wouldn’t use any other mat now! 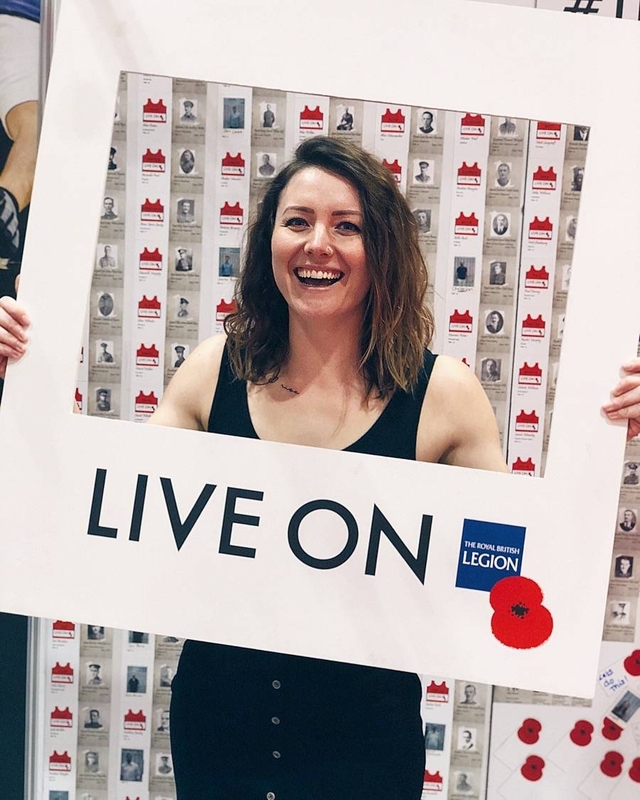 Yoga Gym – £12. A great book of yoga workouts from Nicola Jane Hobbs. This book isn’t just for yogis – CrossFitters will benefit hugely from the strength and mobility focused yogacises. 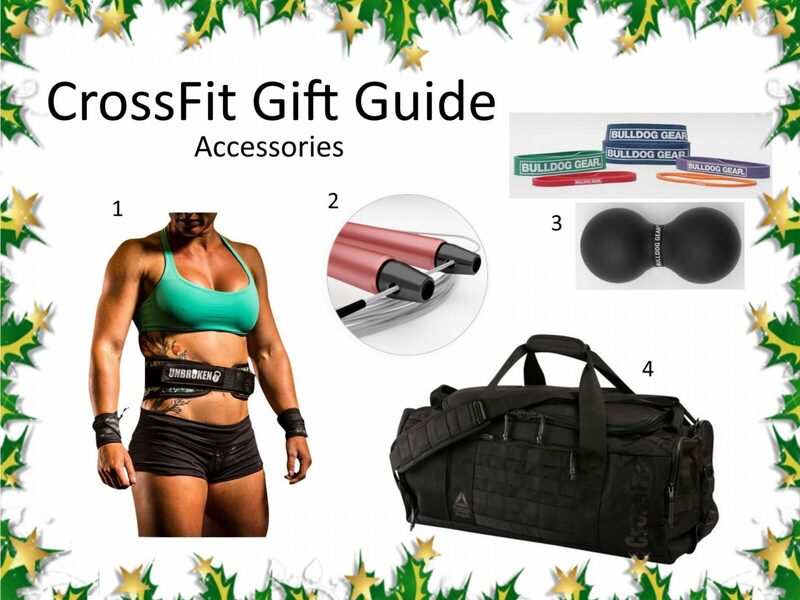 First Aid 4 Sport CrossFit Kit – from £6. 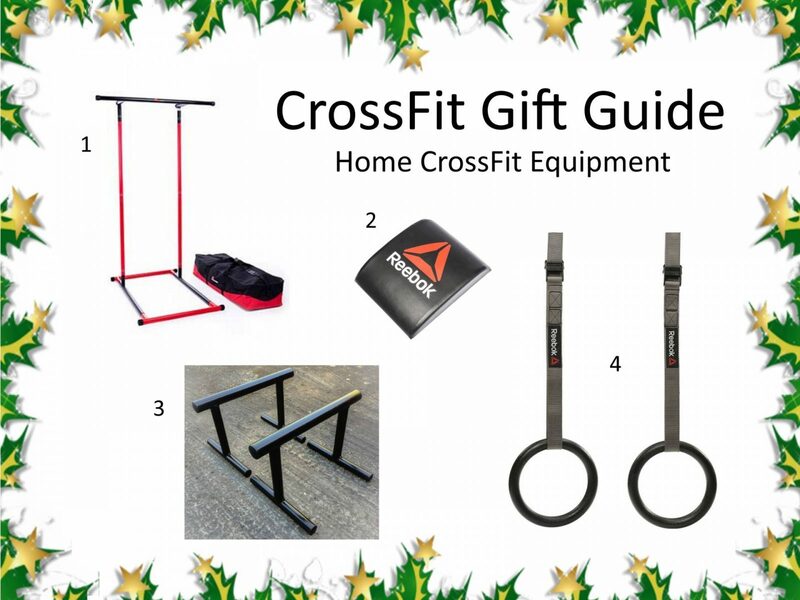 a brilliant little kit for any CrossFitter to put in their (Reebok) kit bag! The basic kits contains tape, plasters, bandages, gloves, scissors, etc. but you can also add products like a callous shaver and a block of chalk! Perfect for keeping the WOD going through every pull-up your beloved can do. Becoming a Supple Leopard – £45.99. The CrossFitter’s bible. This well-known book is packed full of mobility exercises and technique tips to help make for the smoothest movement standards known to man. Great for any mobility geek hoping to brush up on some Starrett knowledge. Graze Mince Pie Flapjack – £5.99 for six. Because… mince pie flapjack. Duh! MyProtein Wrist Wraps – £8.49. Like with the belt, not to be worn all the time, but when doing lots of heavy reps wrist wraps really help. These are a really affordable little present – great for Secret Santa! MissFits Protein Sachets – 12 sachets for £20. Individually portioned pea protein sachets of goodness. In four lovely flavours. WATU headband – £19.99. A headband that actually stays in place while you train. And it has aluminium spots to help cool in known hotspots! Awesome. Oh and it’s unisex. Stance Socks – from £7.99. Stance are known to be the sock of choice of CrossFitters. They’re super comfortable, colourful, and help protect your shins during rope climbs. Awesome. 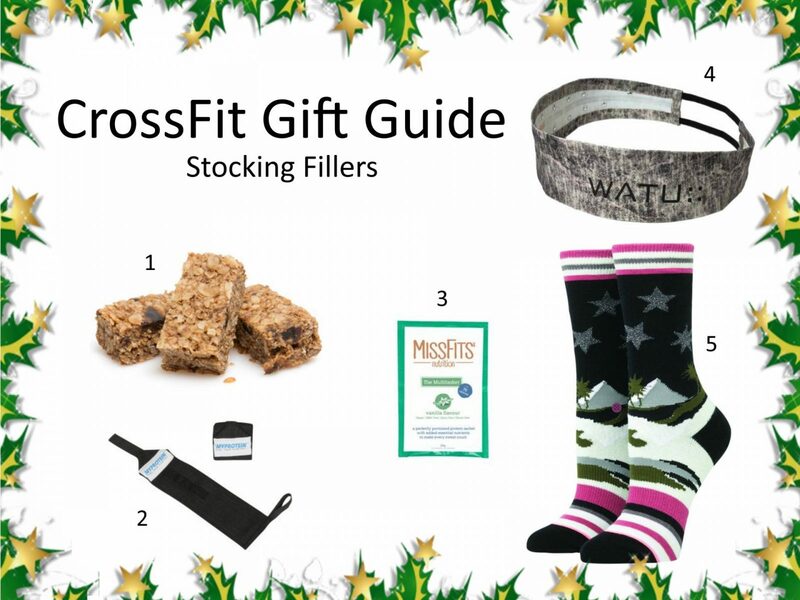 I hope this CrossFit Gift Guide has helped you think of some last-minute gifts for the CrossFitter in your life. Let me know if there’s anything else you’d add! Disclaimer: Some of these items were given to me as PR samples in the past. However, most were bought by me, or given to me as gifts from my family and I would recommend them to my friends! As always, my opinion is my own and not affected by payment, or items/services gifted to me. To find out more about my policy on this and other matters, see my Disclosure page. This post contains some affiliate links. Affiliate links do not affect the price that you pay, but any commission earned helps me to pay the costs of running this site. To find out more about my policy on this and other matters, see my Disclosure page.